Users who like Little Saigon Report #99: BREAKING NEWS! HOMELESS MAN SEXUALLY ASSAULTS TOYOTA PRIUS! Users who reposted Little Saigon Report #99: BREAKING NEWS! HOMELESS MAN SEXUALLY ASSAULTS TOYOTA PRIUS! Playlists containing Little Saigon Report #99: BREAKING NEWS! HOMELESS MAN SEXUALLY ASSAULTS TOYOTA PRIUS! More tracks like Little Saigon Report #99: BREAKING NEWS! 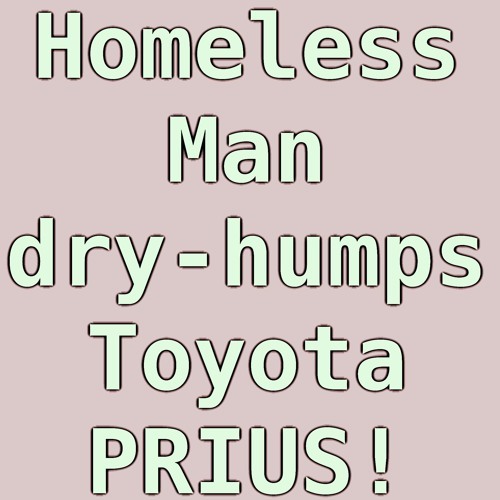 HOMELESS MAN SEXUALLY ASSAULTS TOYOTA PRIUS!